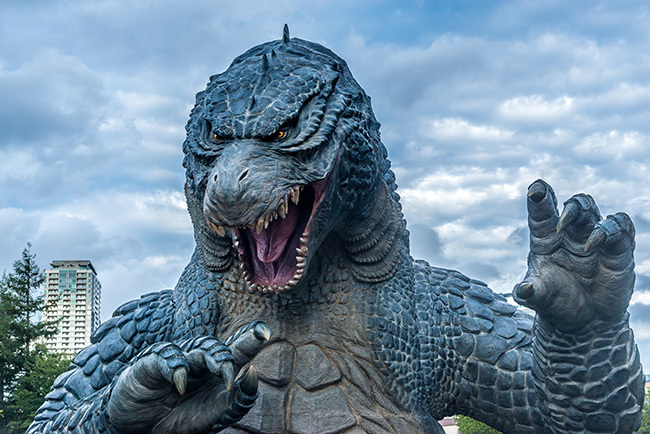 Is Your Business Ready For the Godzilla - El Nino? Much of the strange weather accross the nation is being blamed by El Nino. Our Central Coast has had some rain, but more is predicted! We may get the biggest storms since 1997. The National Oceanic and Atmospheric Administration (NOAA) is suggesting record-breaking jet stream systems flowing in our direction... everyone hold on to your hat! They also forecast several months of relatively cool and wet conditions accross the southern U.S. and relatively warm and dry conditions over the northern states. While most of us will consider it a blessing to the several years of drought, we should stay aware of possible issues that may come to landscapes, roads, and general infrastructure that are not prepared to withstand the strength of this Godzilla El Nino. NBC News reported on December 30 that the El Nino is currently wreaking havoc around the world and is only expected to worsen. Protecting your assets is the best preparation that you can do. Acts of nature will occur, but by having a safe back up with easy recovery, you have confidence to weather any storm. Lattis Networks will make sure that you have the systems in place so that your business can remain stable. Lattis Networks is a full service IT Management Provider. We are dedicated to providing high quality and personable service to our valued clients. We have serviced many prominent Central Coast businesses by implementing technology products and services to keep them protected, efficient, and one step ahead. Our expertise ranges from IT services, networking, data backup, wireless, phone systems, video surveillance systems and computer cabling. Lattis Networks has you covered with an umbrella of services to keep you protected. Maybe you know someone who could use some help in their business? Click below and we will contact them to find out what their current technology pain or needs are now.